(HLN) --- Police in Lake Mary, Florida, say charges will not be filed against George Zimmerman after a dispute with his wife, Shellie Zimmerman. George Zimmerman was questioned Monday by authorities after they responded to a "domestic altercation" at a home owned by his father-in-law, David Bryant Dean. Police say Shellie Zimmerman called 911, claiming her estranged husband was threatening her and her father with a weapon. On the call, Shellie Zimmerman said George Zimmerman "punched her father in the nose" and "took her iPad out of her hands and smashed it and cut it with a pocket knife." Authorities said a gun was present during the confrontation but not used. When police arrived, Zimmerman had a bodyguard in the vehicle with him. Police had their guns drawn when they arrived on scene and told the bodyguard to "stand by out of the way." 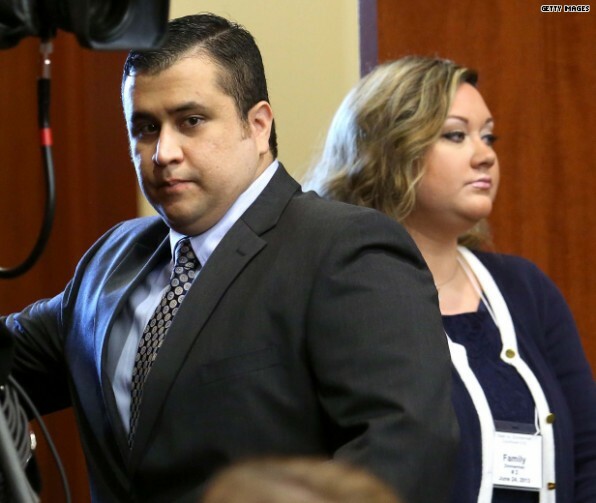 Zimmerman talked to authorities, but was not taken into custody. Lake Mary Police Chief Steve Bracknell said Shellie Zimmerman "refused to speak" to police until she talked with her attorney. "After consulting with their attorney, they declined prosecution," he said. Mark O'Mara, who represented George Zimmerman during his trial for the shooting death of Trayvon Martin, said Zimmerman and his wife had lived at the residence owned by Dean. O'Mara said Shellie Zimmerman had moved out of the residence and they were in the process of separating their belongings. "There was heightened emotion and a disagreement took place," O'Mara said. The incident comes days after Shellie Zimmerman filed for divorce, and 58 days after a Florida jury acquitted the former neighborhood-watch captain of second-degree murder and manslaughter charges in Martin's death.